Sportskjutaren: My first "hockey assignment"
When i got this assignment, it was in order for me to take some pictures on all the HV71 "fans" that had what they called a "mini-invasion" in Malmö, with 400 persons traveling with bus all the way from Jönköping to Malmö (which takes about 5 hours, single way). These kind of "invasions" are quite unusual. This was in February 2007. At this time i had no plans, what so ever to become a professional photographer. I actually didn't even own any kind of SLR. So i took these images with a borrowed Canon EOS 350D and a "kit lens". 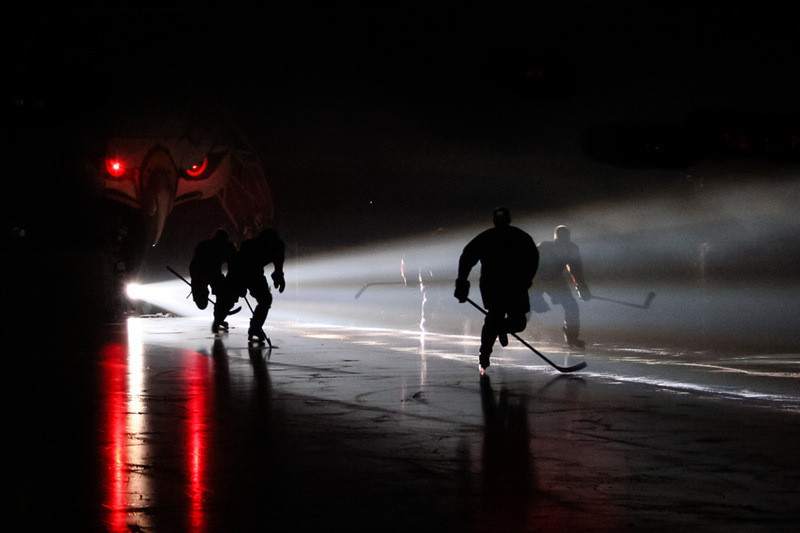 Not really what you need to shoot icehockey action with. Neither did i know anything about shooting sports action. Lets just say that i tried, and the the below picture here is just published to show you have bad it worked. (Nowdays i would had that picture deleted). If anybody, at this point, would have told me that i should become a pro photographer. I would probably laughed at them, and thought that they were crazy. Now, i had owned an "analog" SLR some years earlier, (Konica FC-1), so i knew the basic things since earlier. I didn't even know what a "credential" is. Even though i was issued one, thanks to people helping me with that. Due to the credential i was issued, i had access to the "Photo pit". 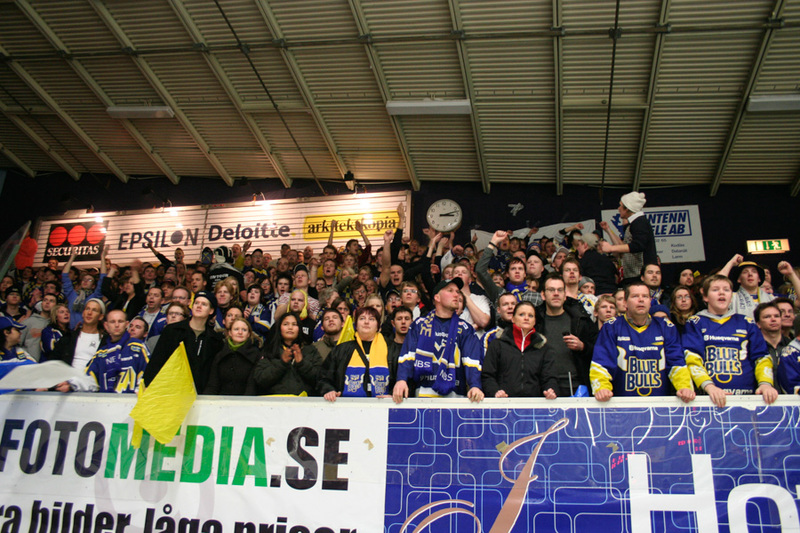 Here in Sweden we have "photo pits" at rink side, without any plexi glass in front. The experience of getting that close to the game is something i will never forget. And it was pretty much that experience that actually got me into sports photography, and switching career towards becoming a professional photographer. A few months later i bought my own DSLR (a used one) and started to build my very first portfolio. 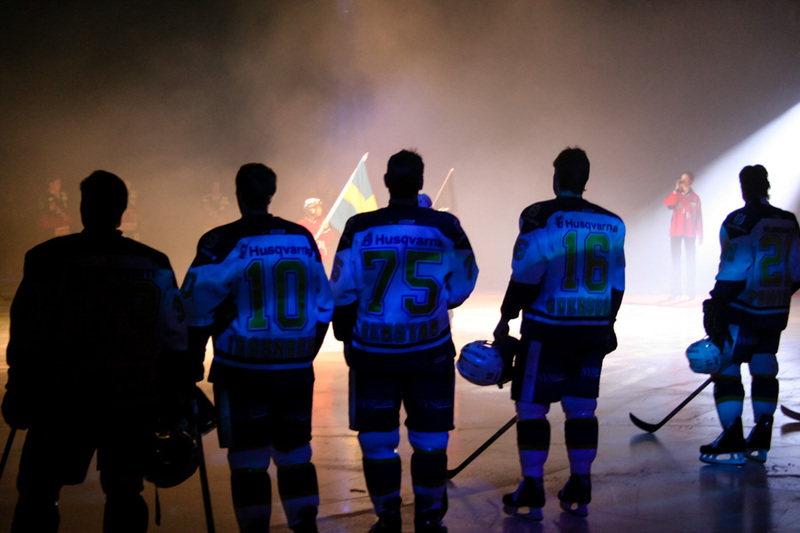 In January 2008 i started to shoot icehockey regular (for the Swedish Hockey League, then known as Elitserien). 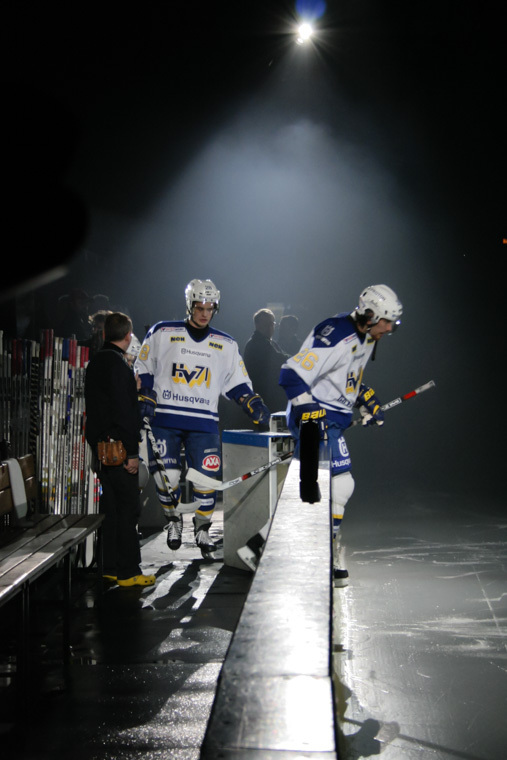 In April 2008 i shoot my first "deciding final" in icehockey (Swedish championship). Just 14 months after this very first hockey assignment. So i guess you can say that this assignment was my "entrance" into major change in my life.